With him not here, that means I'll be alone in his apartment. Actually, it is the very first time for me living on my own in an apartment. My first time!! I'm kinda excited. You have to know, I loooooove my social network. I'm always on the road, meeting people, doing calls and visiting people. Now that I think of it I am barely alone. Only in between my travelling from place A to B. I can be alone it's just that I don't like it. I rather prefer to have someone near me I can talk to. That's why I had no problem to live in a tiny room together with my roommate for a year in Japan. So, this is kind of a social experiment for me :D Because of work and university I won't be alone for a long time so I guess it'll be okay! And I can always call someone or go home in case I should feel lonely xD But I wanna try this! My mom said she'll give me exactly one week before I'll be crawling home out of loneliness. We'll see. Just a short and personal update today because I had no time to prepare any blogposts at all and won't have the time before Sunday/Monday! 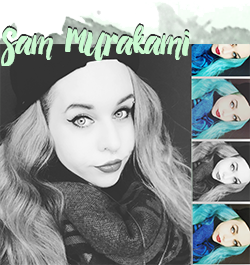 But I'm excited for the next post to come, I have everything in my head already ^-^ On Saturday, I'll gonna have an oldschool sleepover with my friends, yay! So looking forward to it. We are preparing food and watching Disney movies. Lots of Disney movies. Plus, one of my best friends surprised me today! When I left Japan, I gave her nearly all of my used clothing because I had soooo much luggage and since we have similar style and body shape it was a great deal for her and me. A tiny piece of me is still in Japan and that feels good. 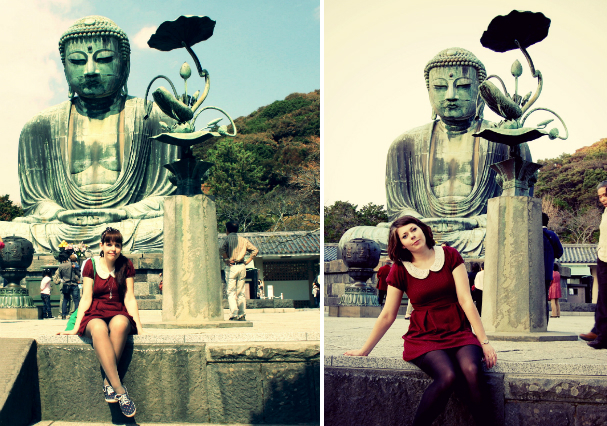 Some days ago she went to Kamakura with a dress I gave her and took the exact same picture which I did about one year ago! I thought it was really sweet and adorable of her. That's all for today, sorry for the tiny post! My big Japanese exam is in only 2 weeks and I have a loooot to do so prepare for a little shortcut on posts until December! I try to post as much as I can with my time limit. :) Hope you're all having a good night/evening/day! Much Love & See You Soon!